Investing in precious metals mutual funds offers the investor different type of diversification that is also a hedge against inflation. A precious metals mutual fund is, for the purpose of this article, a collection of precious metals mining stocks. As such, the value of these stocks are very much influenced by the price of the metals they produce. Adding one of these funds to your well-diversified portfolio is highly recommended. This article is about the reasons for choosing and investing in precious metals funds. See list of funds and precious metals funds news below. No storage fees - Investing in physical gold or silver will require you to pay storage fees. If you want to store it at home you may need to buy a safe, a security system and insurance. Mutual funds do not require any of these things. Can be a hedge against inflation - When the value of gold (and precious metals) is rising, the value of the dollar tends to decline. And visa versa. Look at it like this, if the value of the dollar is decreasing (because of quantitative easing, money printing or whatever) it takes more dollars to buy the same amount of gold. Therefore gold becomes worth more, at least in terms of the dollar. Levered play on precious metals - The precious metals mining stocks included in these mutual funds can be a leveraged play on the metals themselves. As the price of precious metals rise, the value of the mining stocks begin to reflect not only the annual production of precious metals, but also the size of the mine and potential tapped and untapped but still minable areas under the ownership of the mining companies. Therefore, the value of precious metals mining stocks have been known to increase in value from 4 to 10 times the increase in value of the metals. Look for a fund that has at least a five-year record. The manager should have a long record in running a precious metals portfolio. Check the fund's record and compare it to other precious metals funds. Also, check the expenses of running the fund. Low expenses can make a difference in performance over the long term. But if you are lazy like me, just get recommendations from Morning star or a similar company. Or do a search for "top precious metals mutual funds." Choose the one that is recommended the most often. If you review the price charts of various funds you will see that there is no single star performer. Some will perform well in this 6 month period. Others will perform well in a different year. If you want to compare the performance of a few chosen funds you can use StockCharts.com. Just go to Stock Charts PerfCharts and enter your chosen funds' symbols separated by a comma into the "Create a PerfChart" field and click Go. Remember: Past performance is no guarantee of future success. I can say with certainty that the price charts of all of the funds below look very similar. They tend to trade in lock step. Over the long run you will see positive growth in any of them. 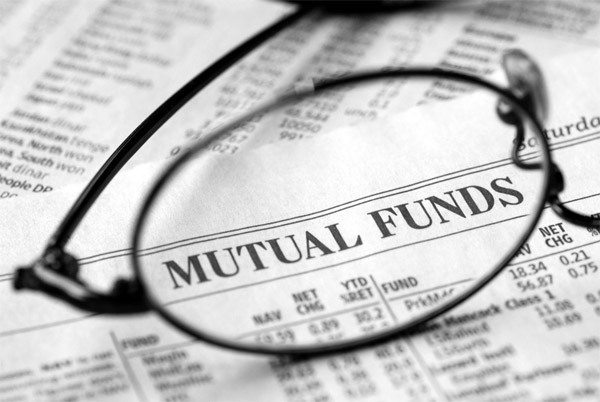 Mutual Funds: another avenue for portfolio diversification.